The combination of socketed Kabini APU and FS1b is now referred to as the AM1 platform or package, and motherboard partners have already released a roster of compatible boards. 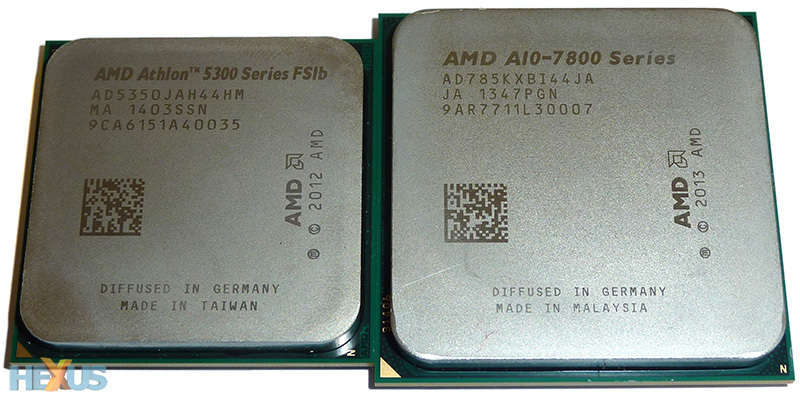 AMD says it has a roadmap that defines the next generation of low-power APUs that will use this AM1 platform. AMD positions the AM1 platform as the ideal backbone for an entry-level system. 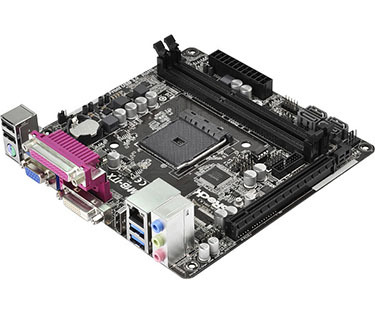 We received the premium Athlon 5350 and an ASRock AM1B-ITX motherboard for evaluation. Note the lack of a chipset? This is down to the Kabini APU having everything plumbed in on-die. Having little integration work to do enables motherboard partners to keep costs down, with the cheapest boards starting as low as £20. Kabini also supports a discrete graphics card by way of a PCIe 2.0 x16 slot. There's no provision for Dual Graphics, however. 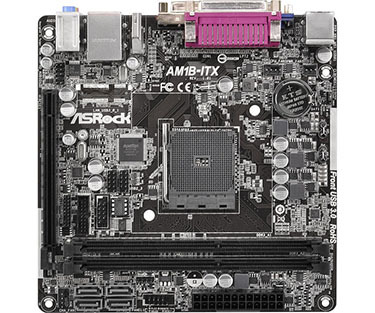 ASRock spends a little extra cash and houses a further two SATA 6Gbps ports on top of those provided by the chipset. Video outputs include DVI, HDMI and DVI. Per the specification, two outputs can be used concurrently. 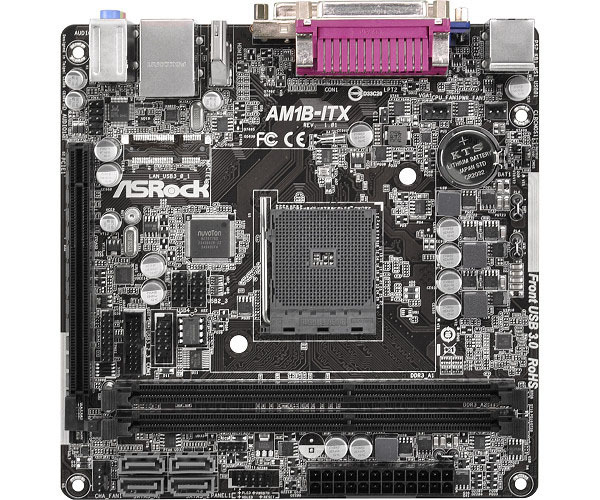 ASRock is aiming for a sub-£35 price point with this board.